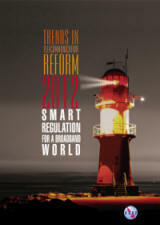 The 12th edition examine smart regulatory measures that regulators and policy makers can take to achieve broadband for all, foster innovation, and address the complexities and challenges of the broadband ecosystem. The advent of broadband has significantly changed the way we communicate, access information, share experiences and knowledge, make business and interact with each other. Sound broadband strategies and plans are now needed to ensure that all citizens can benefit from the new applications, services and businesses opportunities brought by a broadband world. The individual chapters will focus on salient policy and regulatory areas such as setting national broadband policies, strategies and plans, open access regulation and strategies for financing universal broadband access and broadband enabled innovation, social media, m-banking, intellectual property rights and e-waste. Chapter 9: E-waste and recycling: whose responsibility is it?